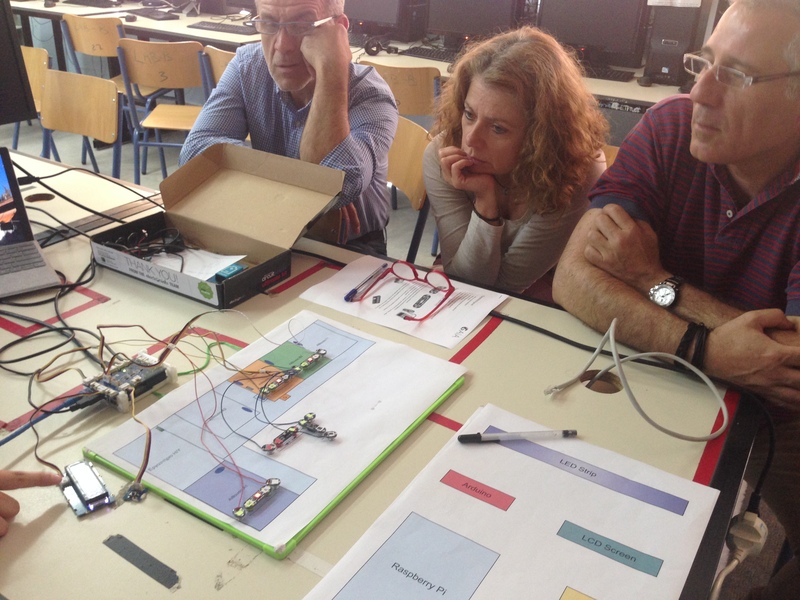 The proposed GAIA laboratory exercise was demonstrated by CTI team to teachers at Experimental Junior High School of Patras and 1st Technical High School of Patras on Friday, 12th of May. 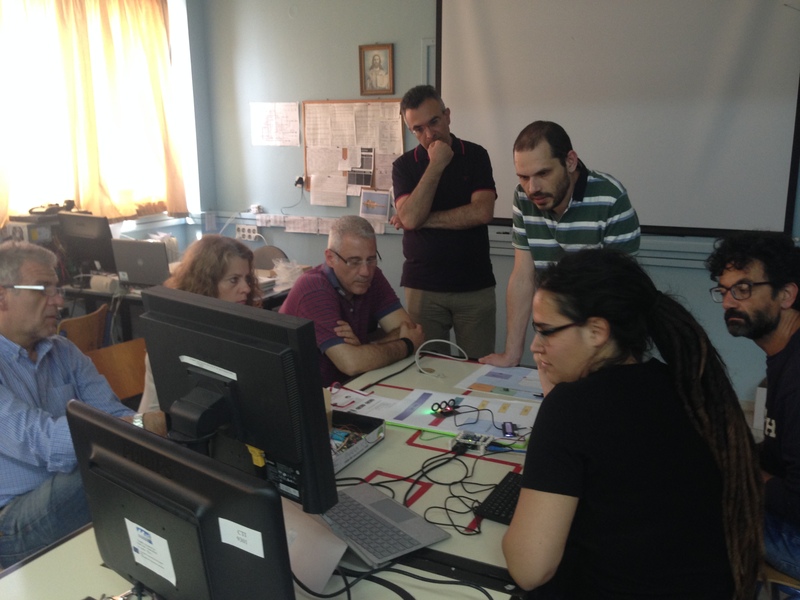 Dr. George Mylonas and Lidia Pocero explained to teachers how they can use the GAIA kit in order to make simple and more complicated activities with students. Moreover, Pavlos Koulouris from EA presented the next steps for the collaboration of GAIA team with teachers in order to produce adequate educational scenarios per schools. 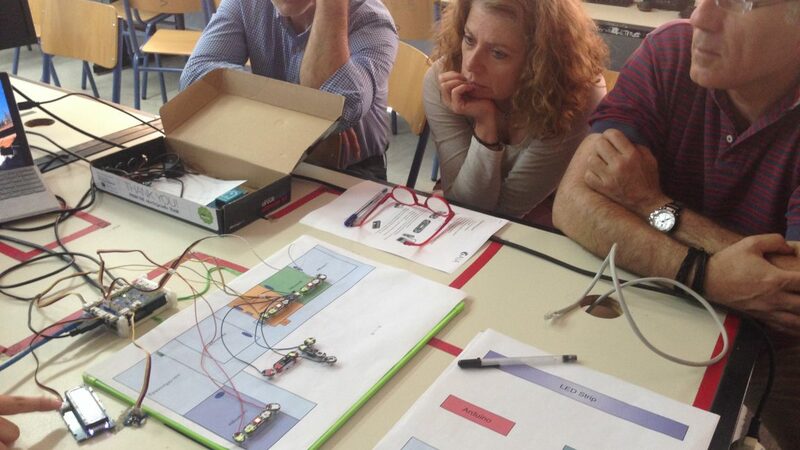 Teachers will be invited in a two-day workshop in Athens in order to exchange ideas how to approach the GAIA issues with students more effectively taking into account the specific characteristics of school curriculum and school building.